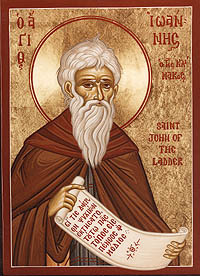 Today is the feast of St. John Climacus, aka St. John of the Ladder. He lived during the seventh century, became a monk at the age of 16 and died in A.D. 649 as the abbot of St. Catherine’s monastery at Mount Sinai. His moniker comes from his most famous work, The Ladder of Divine Ascent. Even though it is intended as an instruction manual for monastics, it is still one of the most popular books among Orthodox Christians, especially now during Lent (our Easter, more properly called Pascha, isn’t celebrated until May this year). I have often seen the monastic life as a metaphor by which Christianity can speak to D&D. Player Characters are invariably those members of society that exist on the edges of Civilization doing things which allow Civilization to continue to exist, but which are not normally acceptable within Civilization itself. 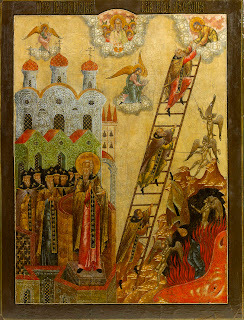 I, therefore, find it interesting that the first step that St. John describes in The Ladder is the renunciation of the world — monks leave Civilization behind to wander into the Wilderness to fight the demons where they live. This is not far from what a normal D&D PC does in context of delving into the Mythic Underground to fight Evil and Chaos where it lives. All who have willingly left the things of the world, have certainly done so either for the sake of the future Kingdom, or because of the multitude of their sins, or for love of God. If they were not moved by any of these reasons their withdrawal from the world was unreasonable. The tomb, of course, being one of the classic D&D adventure tropes. Finally, I would be remiss if I didn’t note that the metaphor of the ladder quite aptly describes the experience level system used in D&D (although I have never even approached getting to the 30th level either in life or as a player). 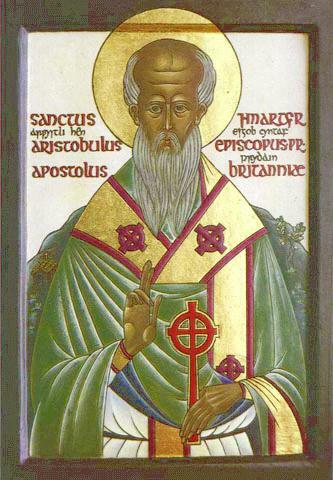 Today is the feast of St. Nicon the Hieromartyr. He was born in late 2nd or early 3rd century Naples to a pagan father and a mother who was secretly a Christian. Despite being exposed to the faith, he grew up pagan and became a soldier. It was during a particularly sticky situation as a soldier that he began his path towards becoming a saint. His company was surrounded and, out of desperation, he started to pray to his mother's God. When he and many of his fellow soldiers survived, he began a quest to become baptized. This was no easy task in a time of persecution. Eventually, he ended up in a cave church where the bishop of Cyzicus was hiding with a group of monks. It was there that he became a monk and eventually succeeded the bishop who baptized him. St. Nicon ended up in Sicily when barbarian incursions drove out he and his fellow monks. Upon his return to the West, several of the soldiers he served with sought him out. They, too, decided to become Christian. Eventually, they settled in a wilderness area called Gigia by the River Assinum in Sicily. After many years living in peace, they were arrested during a persecution by the governor Quintilian. When they refused to worship idols, the 199 monks that were with Nikon were beheaded. St. Nicon was tortured and eventually was also beheaded about the year A.D. 251. Taking a quick look at a map of Sicily, the most likely place where St. Nicon and disciples were are in the mountains outside of the modern city of Noto, which sits at the headwaters of the River Asinaro. This suggests a very nice little area for an interesting variation on a couple of classic D&D campaign tropes — the ruined monastery and Skull Mountain. Firstly, we have several very nice names: The ancient name for Noto was Neetum, the wilderness around evidently was known as Gigia, which are part of the Heraean Mountains in a valley of the river Asinaro/Assinum. Secondly, there is a monastery, founded by St. Nicon and his disciples (some of whom are former soldiers, including Nicon himself) who are all killed by beheading. This suggests that in the mountains surrounding Noto/Neetum is a ruin that colloquially is known as the Monastery of Skulls. As with T1:The Village of Hommlet, the Church has recently come to power and are now interested in recovering the skulls as relics. The monks were guarding the valley from something truly heinous, which now uses the monastery as a home base. The only way to stop it is to return the 200 skulls to the monastery. There is a gate, behind which lies a powerful magic artifact that is needed in a conflict with some great evil. The keys to open this gate are the 200 skulls of the monks. Depending upon the source, the feast of St. Aristobulus, Apostle of the Seventy is either celebrated today or was celebrated yesterday. The majority of sources claim March 15th, but for the sake of this post, I will cleave to the minority which cite today. St. Aristobulus is mentioned in St. Paul’s Epistle to the Romans (16:10), is the brother of St. Barnabas (mentioned multiple times in Acts) and was ordained by St. Andrew (the Orthodox celebrate several members of the Seventy ordained by St. Andrew on October 31, including Aristobulus). St. Andrew sent him to Britain and he is also called the Enlightener of Britain. Yes. Britain. 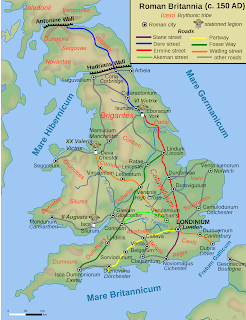 I am fond of reminding people that Britain was conquered by Rome before St. Paul ever wrote any of his Epistles and that by the time of the First Ecumenical Council, there were enough Christians in Britain that several bishops from Britain are counted among those who deliberated in Nicea. Technically, today’s feast was celebrated yesterday because of a rare confluence of events. March 9th is the Feast of the 40 Martyrs of Sebastia; however, today is also the Saturday of the Souls — a penitential day remembering all the dead throughout the ages that trumps any celebration of a saint’s feast. Due to the fact the the 40 martyrs are so beloved, their feast gets moved so that they can be properly celebrated, even though are still remembered today (welcome to the wonderfully complex world of the Orthodox liturgical calendar). 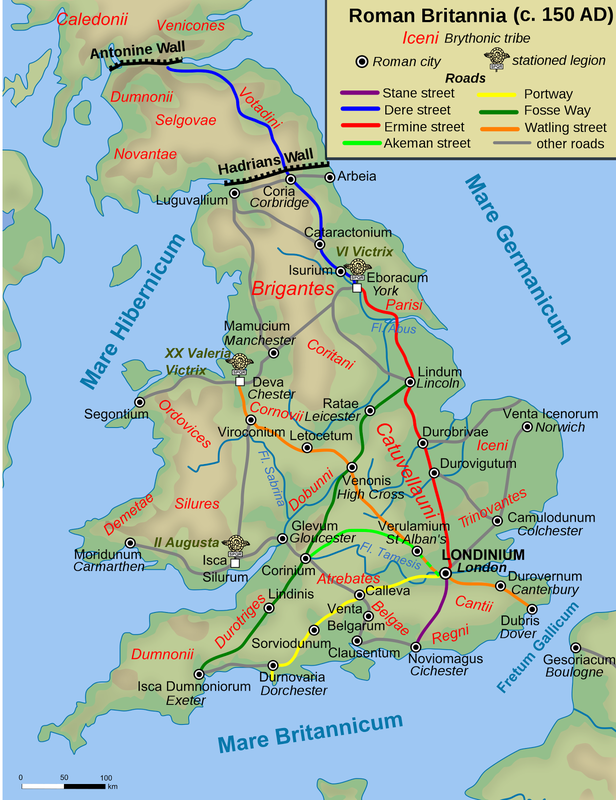 The 40 were soldiers in the Roman army serving in the east. They declared themselves to be Christian when St. Constantine issued the Edict of Milan, which made Christianity legal; however, the persecutions continued in some parts of the empire. The martyrs were arrested, stripped of their military rank and their clothes, and cast into a frozen lake. A temporary bath house with warmed water was built on shore in order to tempt them. During the night, a soldier named Aglaius was tasked with guarding the forty and receiving any who would deny Christ. He was given a vision of angels bestowing crowns to 39 of the 40. The one without a crown gave up the contest and denied Christ. Seeing this, Aglaius professed himself a Christian and voluntarily climbed into the frozen lake so that their number stayed at 40. There is an interesting account of the recovery of the relics of the 40 martyrs in the Ecclesiastical History of Sozomen. He claims to be an eye witness to some of the events, which started with a vision granted the Empress Pulcheria by St. Thyrsus. This led to an investigation which eventually led to the discovery of the relics. This invites a meditation upon the concept of the treasure map, because the vision received by Empress Pulcheria could very well be interpreted as a kind of treasure map and the relics were certainly considered to be a great treasure. I have given out a great number of treasure maps in my day, even a few that did not look like a traditional map (an icosahedron with clues to various means of finding said treasure, for example), but I have never had much success with having my players actually use these maps (even those meticulously prepared to be really cool props at the table). The only time something of this nature actually ever panned out to having the players actually find a treasure was with a similar situation to that of empress Pulcheria. For my players, at least, the key to get them to engage such things is a kind of interactivity. A conversation with a saint offers a far more enticing adventure seed than a piece of parchment with an ‘X’ on it. Thus, at my table, the concept of treasure map really needs to be removed from its classical form and be re-interpreted. A clockwork automaton that, when asked the proper questions, reveals the location of treasure. A sphinx, whose “treasure” is actually information. A puzzle that leads to more puzzles (and possibly various parts of a broken magical artifact). A familiar of a dead wizard, that somehow managed to survive that death (which could be a very cool mystery unto itself). An intelligent sword that seeks out the remains of its proper owner. What have been some of your most successful uses of the treasure map concept? Ooh, fascinating. This born of human parents notion is the first I have heard of it. So what do two elves produce? An elf? Or a human? Do you have this written up somewhere? My initial thoughts on the matter can be found here; however, that doesn’t address the specific question. I want my Averoigne campaign to be human-centric. D&D, as originally conceived was supposed to be that; however, according to my own experience, players seem to gravitate towards demi-humans anyway. Part of that is the various cultures and civilizations that these creatures have as part of their background. Part of my thinking on demi-humans in Averoigne is to come up with an explanation why there aren’t any elven, dwarven or halfling civilizations or cultures — mom and dad are human. In addition, it also helps explain demi-human level limits — they have turned their back on their humanity in order to embrace the powers they get from being fey-touched. As a result, they can never reach their full potential. Another reason that there is no demi-human civilizations or cultures is that any children they have are not guaranteed to be demi-human. The majority are human, and any fey-touched children may very will end-up being another type of demi-human. A final reason for this lack of a culture or civilization is that a fair number of fey-touched abandon their humanity, not just embrace their demi-humanity. Once that happens, they become twisted (orcs, goblins, etc.) and often never turn back. At this point they cease to be human and become monsters. Any offspring at this point are not human, but more monsters. A parting note: in an attempt to re-habilitate the idea of the half-elf, they are not half-human, half-elf offspring. Rather, they are fey-touched who are struggling to hold on to their humanity. They still have demi-human powers, but suffer penalties when using them. I have to admit, this post is mostly for me. The most difficult thing that I do as both a player and a referee is names. Regardless of the game, the most difficult part of character creation for me is naming the character. A majority of the NPCs in my campaigns are actually named by players, not me. 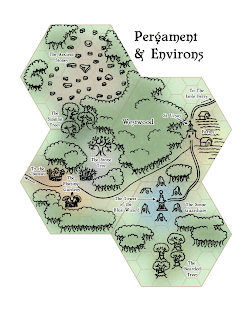 Thus, one of my favorite resources when it comes to campaign worlds is a list of names. What follows is a list of names found in Averoigne; however, I have endeavored to make this list even more useful than it already is for me. There are two lists, one for male names and the other for female names. Each list has 100 names, therefore I can simply roll a d100 to come up with the name of an NPC. In addition, the first 50 names in each list are Averni names and the second 50 are Salian names. Thus, with one roll I not only have a name for an NPC, but a general background and a general disposition towards the PCs depending upon their background and the organizations they belong to. Of course, if I specifically need an Averni name, I can simply subtract 50 from the roll if it is 51+ and do the opposite if I need a Salian name. Also note that since all Dwarves, Elves, Half-elves and Halflings are born of human parents, these tables cover names for them as well. The Ancient Stones: These flat stones once formed a pattern of some kind, though no one is really sure what that pattern is. It is rumored that strange things happen in the area on various days of the year or phases of the moon, depending upon the source. The Singing Trees: Travelers through this part of the Westwood have reported hearing strange songs that seem to come from the trees themselves. Some have reported being able to discern voices. Others even claim to have heard prophecies that have proven true over time. St. Ursas: This is the name of the local monastery. It is run by White Monks. Farms: There are about sixty farms that service Pergament. They are generally referred to in two groups: The North Farms and The South Farms. There is a rivalry between the two, due mostly to the fact that most of the farmers to the north are Salians and most to the south are Averni. 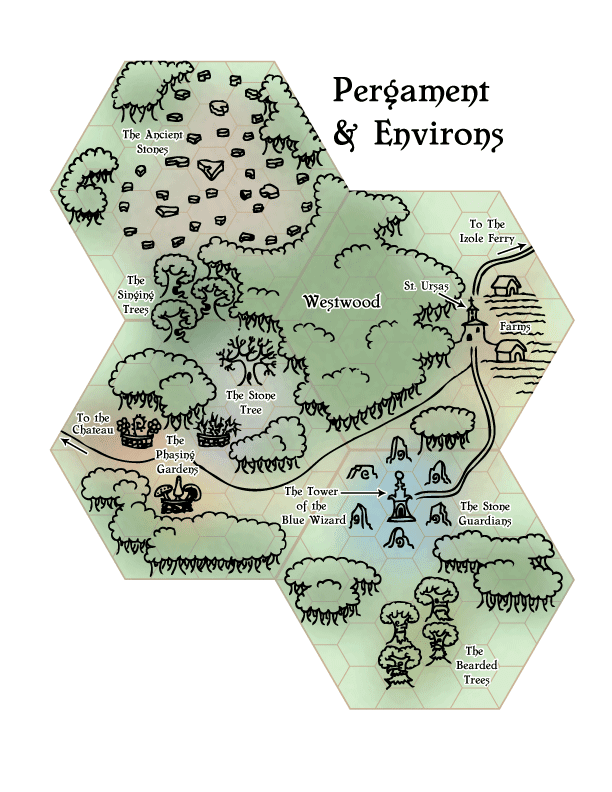 Westwood: Pergament and its environs sit at the eastern edge of Westwood, a large forest that dominates western Averoigne. The most common tree is the Sassafras. Wild raspberries are common and various melons are not unheard of. Hunters come to Westwood for its elk. The Stone Tree: At the center of a field of solid stone is a large petrified tree. No one knows how or why this happened, but there are rumors that the whole field radiates of magic. The Stone Guardians: This series of rune-encrusted stones serve to keep unwanted guests away from the Tower of the Blue Wizard. Anyone who approaches without an invitation gets a kind of motion sickness. For the stubborn, this usually ends up with uncontrollable vomiting. Both disappear when unwanted guests retreat from the area. The Tower of the Blue Wizard: This is the home of the head of the local Wizard’s Guild. Not much is known about him, because he is rather reclusive; however, it is widely known that he is good friends with the abbot of St. Ursas. The Phasing Gardens: No one knows who planted these gardens, which are full of strange and exotic plants. Most locals avoid them completely, however, due to the strange way they appear and disappear. These correspond with sunrise, sunset and the phases of the moon. The only time all three gardens appear at the same time is during the full moon. The Bearded Trees: The trees in this part of the Westwood are covered in moss. Rumors say that many of these trees might actually be dormant treants. Local hunters avoid this area when hunting. The Izole Ferry: This is the main route of trade with Ximera, the major city in southern Averoigne. Today is the feast of St. Hesychius the Martyr. He was a magistrianus in the court of Maximian (which, at the time of the Byzantine Empire was a kind of intelligence officer). In A.D. 302, Maximian gave an order that all Christians who were royal soldiers were to be stripped of the signs of their office (a belt, in this case) and be forced into civilian life. Many, including St. Hesychius, chose to live without this worldly glory lest they lose the glory of the Kingdom. Due to his rank within the court, St. Hesychius earned the ire of Maximian who ordered the saint to be dressed in nothing but women’s clothing woven from hair. When given the opportunity to win back his former life, the saint replied, “Your honor, o king, is temporary but the honor and glory which Christ gives is eternal and without end.” In anger, Maximian ordered that a millstone be tied around the saint’s neck and he was then thrown into the River Orontus in modern day Syria. The local mill has been doing a brisk business of late; however, people have started to disappear in the vicinity of the local river. If the PCs investigate, they can find that the miller found a millstone washed up on the edge of the river. At this same place a sea hag has taken up residence in the river, preying on passers-by. The millstone is actually a relic, a device used to torture and kill a martyr whose body still sits at the bottom of the river. The stone was preventing creatures such as the sea hag from contaminating the area. While the millstone increases the yield from those who bring their grains to be milled, its proper place is in the river with the martyr. Should the sea hag be driven away or destroyed, the body of the saint discovered and the millstone returned to its proper place, an underwater chapel will miraculously be built. As long as the relics remain inside the chapel, a Water Breathing spell affects anyone who enters.